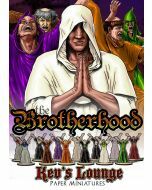 This paper minis set is a follow on to our very popular cultist set, The Brotherhood! 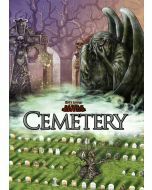 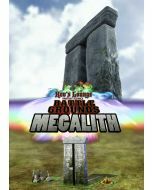 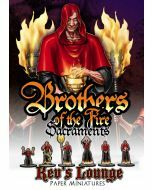 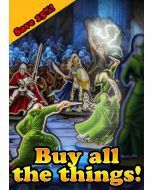 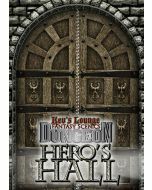 It adds 6 brand new figures with a focus on rituals and ceremony and will really round out the cults you've created with the other set.! 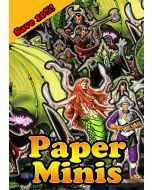 Like the first set, all of the high-quality paper miniatures are incredibly customisable and between the two sets you can easily create a massive gathering of devoted followers for virtually any cult or holy order you can imagine! 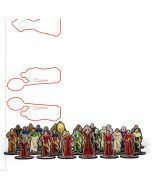 This set of paper miniatures includes 6 cultists/monks in a variety of poses, each of which has millions of possible combinations!